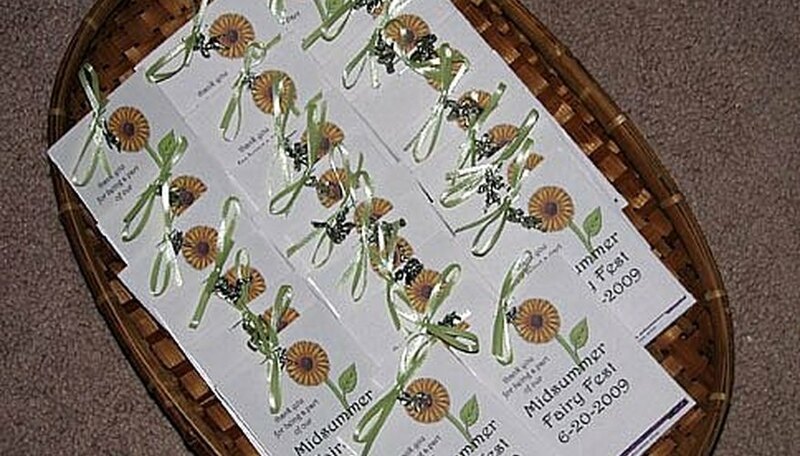 How to Make Seed Packet Party Favors. 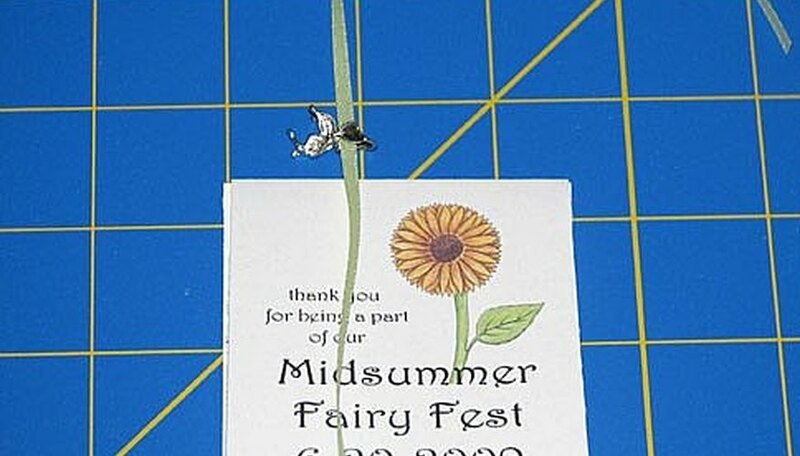 Spring is a wonderful time of year to throw a party-and what better little gift to send your guests home with than a cute, decorated seed packet with a little note of thanks? Not only is it adorable, but it's practical as well. Favors aren't just for kids' parties or weddings; any party is suitable for that little something extra for your guests. Here are tips for creating these cute little parting gifts for your next event-and you'll soon have a reputation for being a creative and generous hostess! 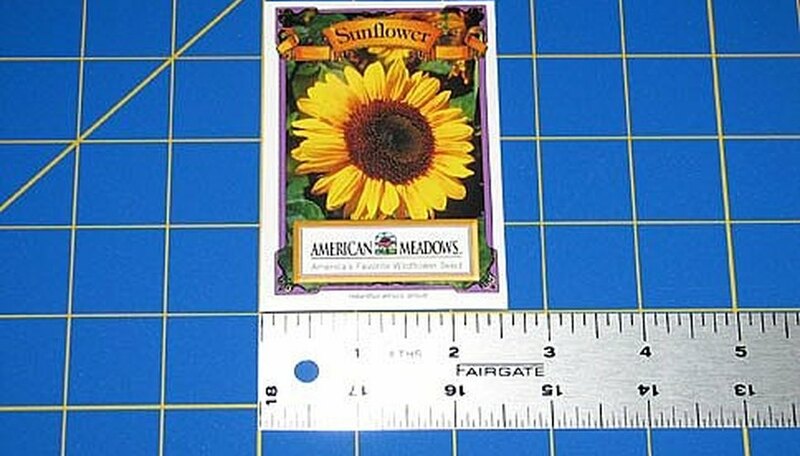 Measure your seed packet to know how large to make your wrap. You can find seed packets in most hardware and garden centers as well as many big-box stores with an outdoor living section. If you need a lot of packets (such as for a wedding or large party) check with a seed supplier for the best quantity deals and variety. 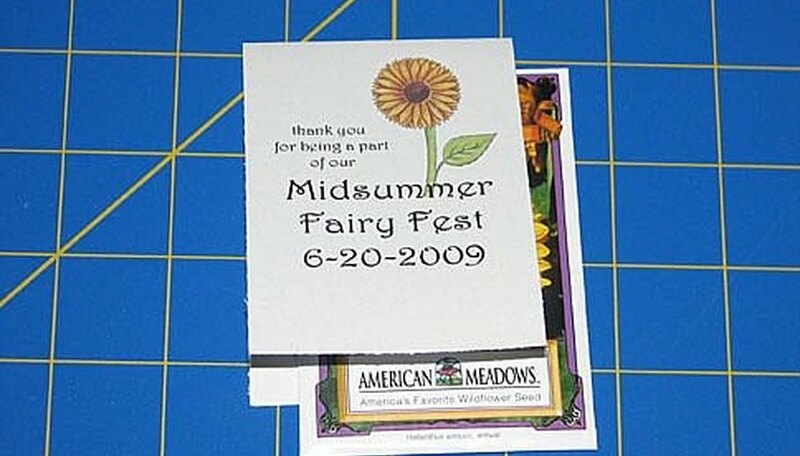 Design a wrap for the packets either on the computer or with stamps, stickers or other craft supplies. It should be as wide as your seed packet and twice as long. 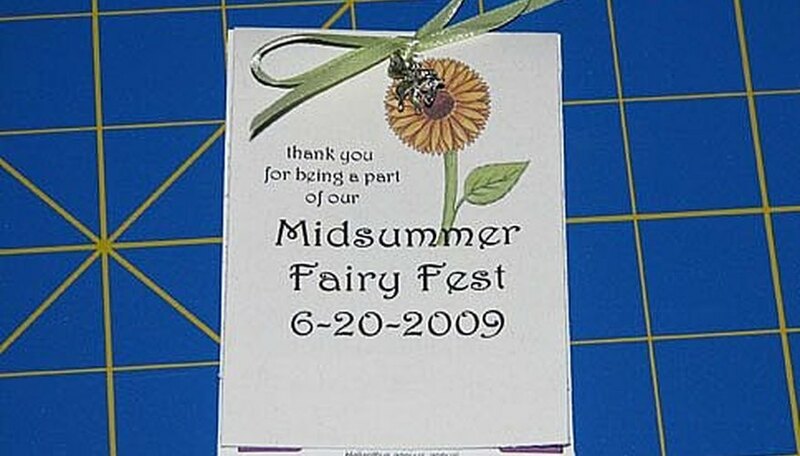 Either print out the wraps and trim down to size or decorate the pre-trimmed slips. It's a good idea to include the date and reason for the party somewhere in the decoration. Fold each wrap in half, widthwise, then place over the top of the seed packet. String a bead or charm onto a length of ribbon. Lay this over the packet-and-wrap combo. 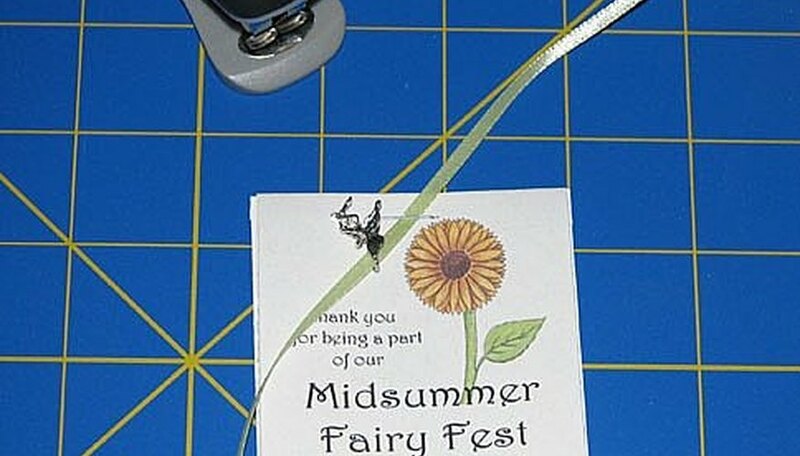 Staple along the top edge of the seed packet, securing the wrap to the packet and trapping the ribbon underneath the bar. There's no need to pierce the ribbon with the staple. Tie the ribbon into a bow, over the bar of the staple, scooting the charm or bead up to the center of the bow so that it hangs down. Place these by the door for guests to take as they leave or at each place setting if it's a seated dinner. If you want decorations on both the front and the back of the packet wrap, remember to flip the top section so that once folded, both sides are right-side-up.